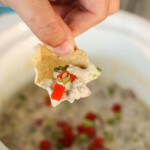 Are you looking for a new appetizer recipe? 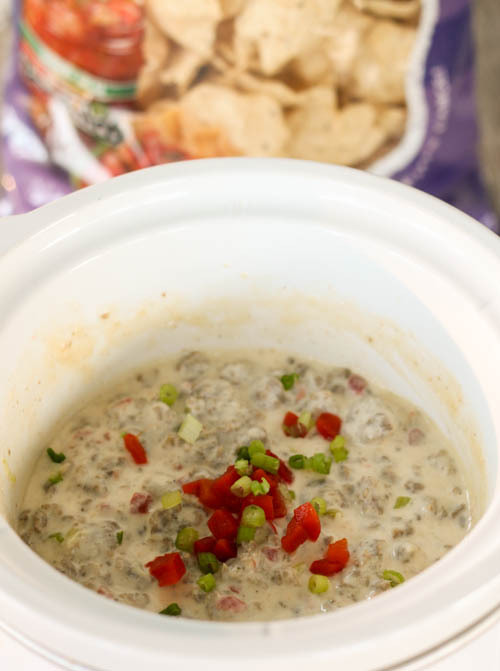 This Sausage Dip is perfect for game day, holidays and parties! 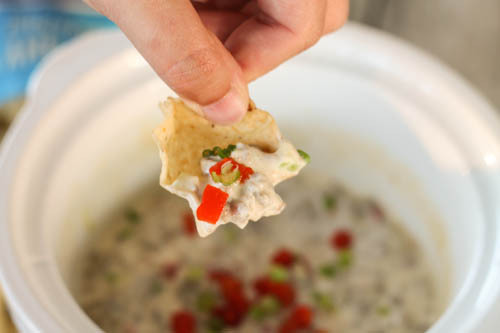 The last time I made this dip it was gone within minutes! I am not even kidding! 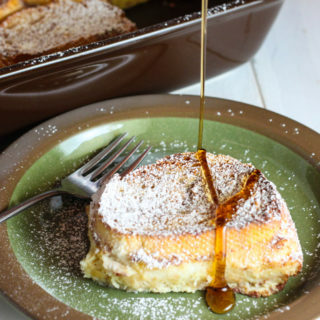 This recipe is always requested by my hubby and my sister-in-law usually brings it every Christmas Eve. I usually serve it with tortilla chips but you could also use cocktail bread or fresh veggies. The spiciness of this recipe can be adjusted by switching what type of sausage you buy. The recipe calls for spicy or hot sausage but if you are like me and are not the biggest fan of spicy food you can use original or mild. 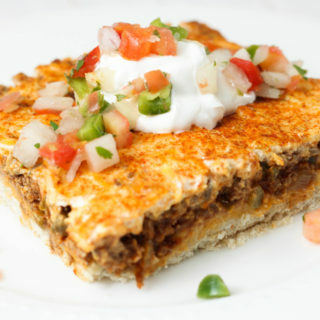 This recipe can be made in the slow cooker or the oven. To make in the oven preheat the oven to 350 degrees. Pour ingredients into a medium size baking dish. Bake 20-25 minutes until bubbly. I reserve a little of the green onion and the pimentos to garnish with. If you remember Indiana Dairy invited me to tour a grocery store with a dietitian a while back and one of her recommendations was to use low fat dairy when it made sense. 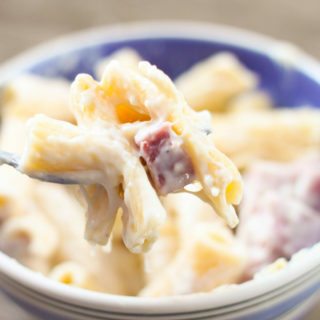 So when my friends at Indiana Dairy asked me to share a recipe I thought of this one! I usually cook with full fat dairy ingredients and for some recipes it is a must, especially older recipes. But this recipe is one that you can use the lower fat versions and it will come out perfect every time. Which is great because it will help you save some calories! Another way to make this dish more healthy is to serve it with your favorite veggies, it’s great with carrots and celery. Brown the sausage in a large skillet, cook over medium heat until brown. Drain sausage and place in a large bowl. Mix in 4 green onions, sour cream, mayonnaise, Parmesan cheese and 3/4 jar pimento peppers. Transfer sausage mixture into a slow cooker. Cook on low until warm, about 1 hour. Garnish with remaining green onion and pimento peppers, serve hot. Thanks to Indiana Dairy for sponsoring this post.